This newsletter only began in February 2018, but is already a success for the business. 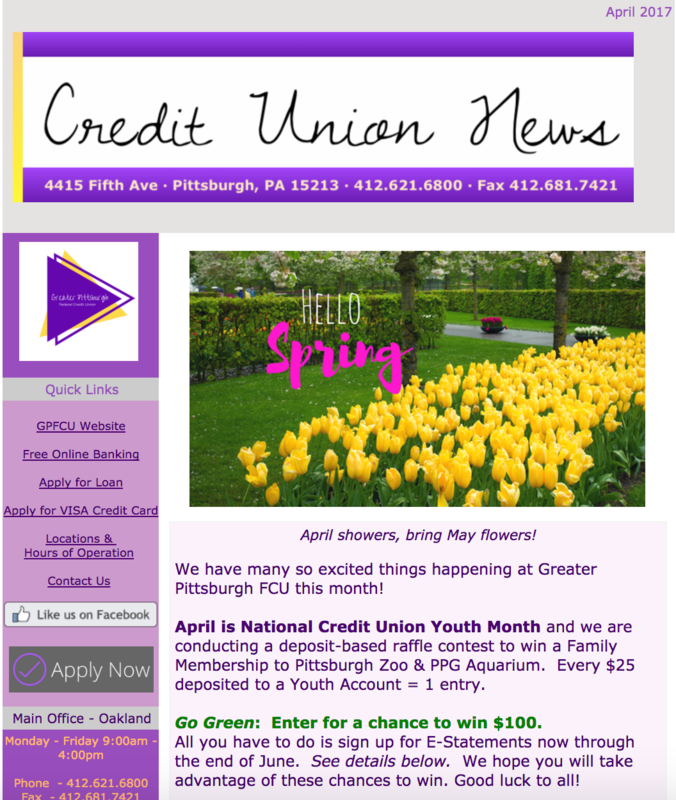 With Constant Contact, this email newsletter helps this small credit union communicate monthly with their members. Currently with about 400 contacts, this email has already boasted an average open rate of 27.9%, above the industry average! Personally initiating this project, I initiated GPFCU into the world of email marketing in 2012 with Constant Contact. Starting with less than 1,000 email contacts, I have grown the file to over 4,500 (as of April 2017). With an above average open rate of 29% for the industry, the audience is strong and growing. Recently, this newsletter won an All Star Award 2016 from Constant Contact, for excellent audience engagement. The goal of this monthly newsletter is to create an open and engaged communication with the membership. This newsletter is a successful example - and continues to grow! 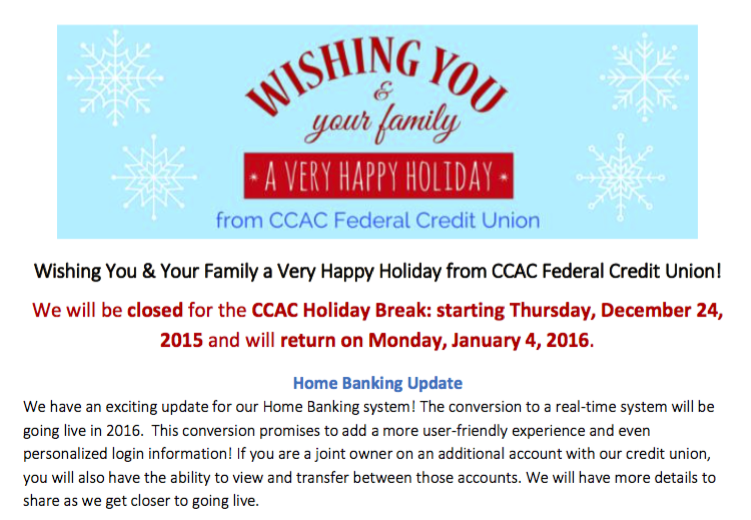 This small credit union sends a monthly "Letter to Members" via email. The graphics are kept simple and the messaging is clear, as this was sent manually without the use of email marketing software (such as constant contact).